A GREAT READ FOR KIDS ! 33% of the publishers profit from the sale of this book will be made to the Neuroblastoma Children's Cancer Alliance UK's general fund in memory of Felix White. 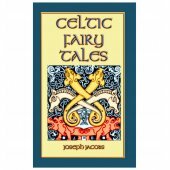 In this volume you will read of "Elidyr's Sojourn in Fairy-Land", "Einion and the Lady of the Greenwood" and "The Drowning of the Bottom Hundred" plus ninety more. Here it may be remarked that the style of the originals has been left largely untouched. When schoolmastering in South Wales in the early 20th C., W. Jenkyn Thomas found that all the fairy books in the school library were in such constant demand that they rapidly wore out. 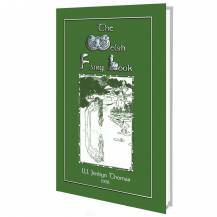 He inquired whether the readers were familiar with the fairy mythology of their own country. With few exceptions, he found that they were ignorant of the Fair Family and other legends of Wales. 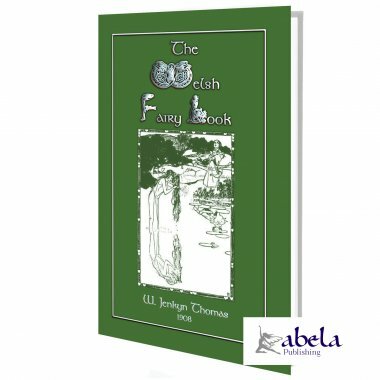 After waiting in vain for an editor to produce a book of Welsh Fairy stories, he prepared this book, hoping that the Welsh variants of the universal folk-tales will also interest a wider circle of readers. This book was especially republished to raise funds for the treatment of Felix White who suffered from Neuroblastoma, the second most common solid tumour in childhood which makes up 2 in 25 (8%) of the total number of children's cancers. Felix passed away in August 2011. 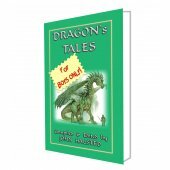 33% of the publishers profit from the sale of this book will be made to the Neuroblastoma Children's Cancer Alliance UK's general fund in Felixs memory. 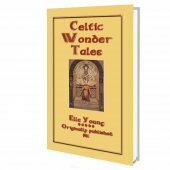 IN that country of crosses, ruined chapels and rocking stones, caers and tumuli, cromlechs and camps, which is sometimes known as Dewisland, there once lived a boy named Elidyr whose father and mother wished him to become a priest. They accordingly sent him every day to the monks of St. David's to learn his letters, but the little rascal much preferred hoop and ball to book-learning; all that went in at one ear came out at the other, and as a scholar he therefore left much to be desired. His teachers, remembering that Solomon had said, "He that spareth his rod hateth his son, but he that loveth him chasteneth him betimes," showed their affection towards their pupil in the manner he advised. At first they corrected him lightly and infrequently, but Elidyr did not amend his ways, and before long not a lesson passed without chastisement. Not only were the stripes more frequent, but they also became more severe, till Elidyr could stand them no longer. So one day when he was twelve years old he ran away: he went on and on, and the further he got the happier he felt. Knowing that a search would be made for him, he looked diligently for a hiding place, but for a long time he could find no place where he could feel safe. At last he came to a river: under the hollow bank of this, there was a beautiful hiding place, where no pursuer would ever expect to find a runaway. Into this he crept and slept that night as soundly as the best little boy who ever tired himself out with lessons. The next day he realised that, glorious as his hiding place was as an escape from books and thwackings, it had its disadvantages: the chief was that there was nothing to eat and drink, and that is a very serious thing for a growing boy with a healthy appetite. It was not safe to go out even to look for hips and haws, because when he lifted his head above the river bank he saw men and women searching all over the countryside for him. He became hungrier and hungrier, and oh, how slowly the time passed! It was the longest day Elidyr had ever known: the sun simply crawled across the heavens, and it seemed to be an age before it dipped its red rim in the waters of St. Bride's Bay. He was no better off even when the sun did set, because night is worse than day when you cannot sleep, and it is very difficult to get even forty winks when you have an aching void inside you. Every time he woke up he felt hungrier, and he made up his mind to return home as soon as it was light enough for him to find his way. Better two thrashings--for he knew that his father would lay on as well as the monks--than the wolf which was tearing his inside. When the shades of night were disappearing, he got up to start off, when to his intense surprise two little pigmies appeared to him and said, "Come with us, and we will lead you to a land full of sports and delights." Very curiously his hunger vanished that very minute, and with the hunger vanished the desire to return to those hateful lessons and thrashings. So he upped with him and offed with him with the two pigmies. They went first through an underground passage all in the dark, but soon they came out into a most beautiful country. There were purling streams, lush meadows and wooded hills, all as pleasant as can be. The two little men led Elidyr to a magnificent palace. "What is this place?" asked the truant. "This is the palace of the King of Faery," answered his guides. They took him in, and there they found the King sitting on a splendid throne, with his courtiers in magnificent dresses all about him. He asked Elidyr who he was and whence he came. Elidyr told him, and the King said, "Thou shalt attend my son." The King then waved him away, and the King's son, who was about the same age as Elidyr, took him out of the court. Then began a time of supreme happiness to Elidyr. He waited on the King's son and joined in all the games and sports of the little men. They were little, but they were not mis-shapen dwarfs, for all their limbs were well-proportioned. They were fair of complexion, and their hair was thick and long, falling over their shoulders like that of women. They rode little horses about the size of greyhounds, and they never ate flesh nor fish, but lived on messes of milk flavoured with saffron. They took no oaths, but never spoke a lie, for there was nothing they detested so much as falsehood. They scoffed at men for their struggles, follies, vanities, fickleness, treacheries and lies. But they worshipped none, unless you might say they were worshippers of Truth. The country in which they lived was beautiful, as has already been described, but there was this that was curious about it. The sun never shone and clouds were always over the sky, so that even the days were obscure and the nights were pitch dark, for neither moon nor stars ever gave any light. After a time Elidyr began to long for his mother, and he begged to be allowed to go and visit his old home. The King gave him permission, and the two little men who had brought him to the realm of Faery led him through the underground passage to the upper earth, and right up to his mother's cottage, keeping him invisible to all on the way. Imagine his mother's joy when he entered, for she had thought he was lost for ever. She plied him with questions, and he had to tell her everything about himself and the bourne from which he had returned. She begged him to stay with her, but he had given his word to go back, and soon he departed, after making his mother promise not to tell where he was or with whom. After this he often went to visit his mother, sometimes by the road by which he had first returned, sometimes by others. At first he was not allowed to go alone, but inasmuch as he always kept his promise to come back, he was subsequently permitted to go by himself. Now one day when Elidyr was with his mother, he told her of the heavy yellow balls which the King's son. and he used in their play. His mother knew that they must be made of gold, and she said to him, "Bring one of them with you next time you come." "It would not be right to do that," said the boy. "What is the harm?" asked his mother. "I have been told never to bring anything with me to earth," replied Elidyr, "Surely, out of the hundreds of balls which the King's son has, he would not miss just one," pleaded the mother, and the boy reluctantly consented. Some days after, when he thought no one was looking, he took up one of the golden balls, and started off to his mother's cottage, walking at first slowly, but increasing his pace as he drew nearer to the upper air. Just as he emerged out of the underground passage on to the earth, he thought he heard tiny footsteps pattering behind him, and he started to run. Turning his head round, he saw two little men running after him and looking very grim. He put his best foot forward and tore ahead; the little men raced after him, but Elidyr having the start reached the cottage first. When he reached the threshold, he stumbled and fell, and the golden ball rolled out of his hand right to the feet of his mother. At that moment the two little men jumped over him as he lay sprawling, seized the ball and rushed out of the house. As they passed Elidyr they spat at him and shouted, "Thief, traitor, false mortal," and other terms of reproach. Full of grief and shame, he went sadly back to the river bank where the Underground passage commenced, determined to go back to the land of the little men to tell them how sorry he was that he had listened to his mother's evil counsel, but he could find no trace of any opening. Again and again he searched, but never could he find any way back to that fair country. So after a time he went back to the monastery, and tried to deaden his longing for fairy land by devotion to learning. In due time he became a monk. The story of his sojourn in Fairy-land gradually leaked out, and men used to come and ask him about the land of the little men, but he could never speak of the happy time he had spent there without shedding tears. Now it happened that when Elidyr was old, David, the second Bishop of St. David's, came to visit the monastery and ask him about the manners and customs of the little men. Above all, he was curious to know what language they spoke, and Elidyr told him some of their words. When they asked for water they would say, "Udor udorurn," and when they wanted salt, they said, "Halgei udorum." Now the Bishop knew that the Greek for water is and for salt , and he thus discovered that the language of the fairies greatly resembles that of the ancient Greeks.